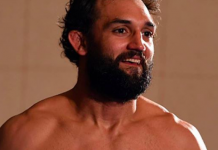 Several years ago, NCAA Division I All-American Johny Hendricks was considered to be one of the best fighters on the planet. 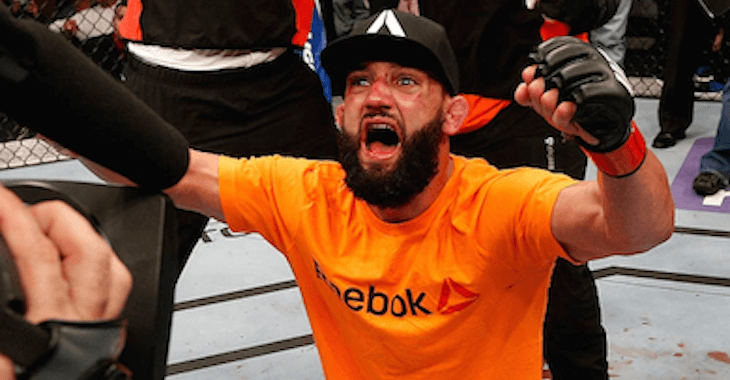 After dropping a controversial split decision to Georges St-Pierre in the main event of UFC 167 back in 2013, Hendricks went on to win the vacant welterweight championship by defeating Robbie Lawler at UFC 171. 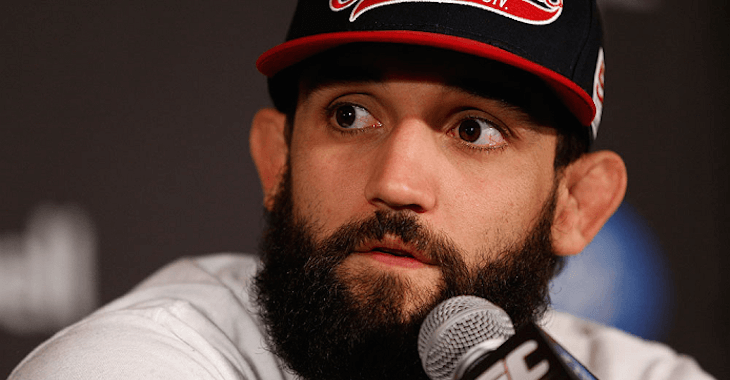 In just his next fight, Hendricks lost the belt to Robbie Lawler via split decision, in a fight which was considered controversial by many. 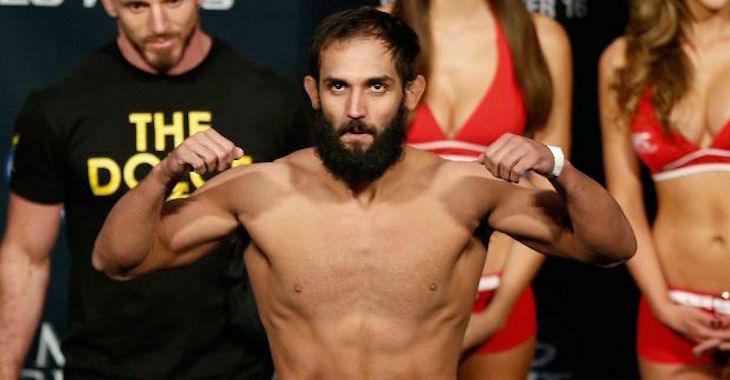 Since then, Hendricks has gone on a bit of a skid, going just 1-2, recently going on a 2-fight losing streak that most recently saw him drop a unanimous decision to Kelvin Gastelum at UFC 200 in a catchweight fight due to Hendricks missing weight. 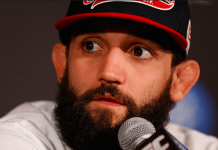 “As soon as my wife says, ‘Honey, I want you home more,’ that’s when I’m done,” Hendricks said. “Even if I win this fight, (I could retire). We have four kids now, and she needs help, and I get that and I want to be a father in my kids’ life. 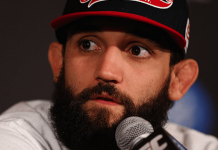 “If I don’t win this fight, then obviously it’s not my fighting skills, it’s my willingness to train,” Hendricks said. “That’s sort of where my mindset is. I’m back to training hard and working out hard. But let’s say something does happen and I lose – for one I would be a gate keeper. For two, I don’t want to just fight the fights. It’s a waste to beat yourself up for 12 weeks and go from there. Then I can also put more time into my kids and all that stuff, and that’s really where my head’s been.